School is back in session and now’s the time to start making your gift lists. 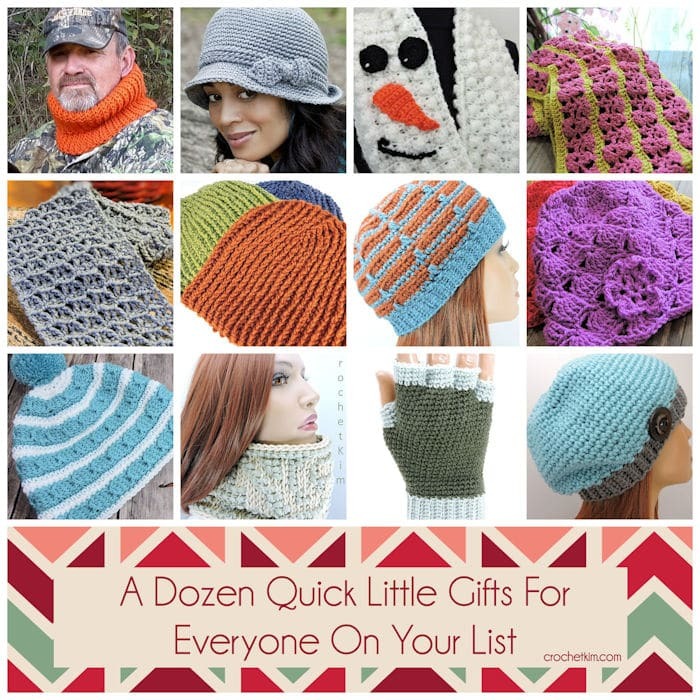 Here are some little projects that will get those gifts moving! There are lots of choices here which will fill a variety of styles. 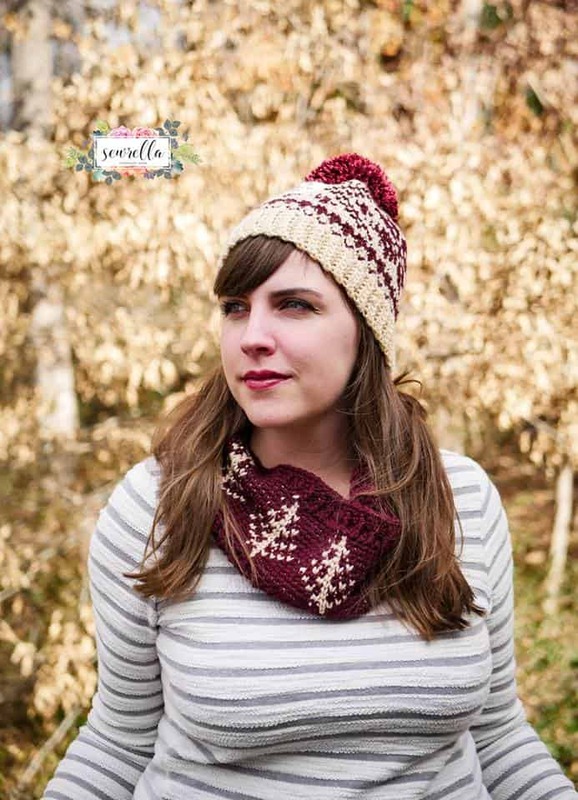 Give the classic look of cables, the whimsical snow man or choose a traditional stretchy rib beanie. 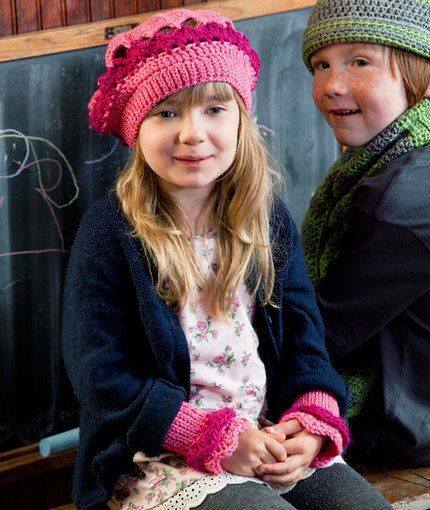 If you can’t decide, the fingerless mitts are sure to please boys and girls of all ages. 1. Hunter’s Cowl It’s made in bright orange for your favorite hunter, but make it in any color you like. I love it when walking those cold streets of downtown Chicago to cover up the exposed neck, mouth and nose. Don’t you hate it when your nose hairs freeze??!! 2. Elegant Hat This is the most popular hat on my website! It’s perfect for any occasion. 3. Snowman Infinity Scarf You’ll delight everyone with this fantastic snowman scarf. He’s so cute that you’ll want to make one for yourself as well. 4. Wild Raspberries Scarf With just a touch of lace, you’ll want to put this on your gift list for anyone who loves that little extra feminine touch. 5. Wandering Arches Scarf This masculine looking scarf has a little cable like stitch pattern that is perfect for scarves, shawls and blankets. 6. Favorite Beanie for Men This stretchy rib beanie is a perfect beanie for the minimalist. Teens will love it too! 7. 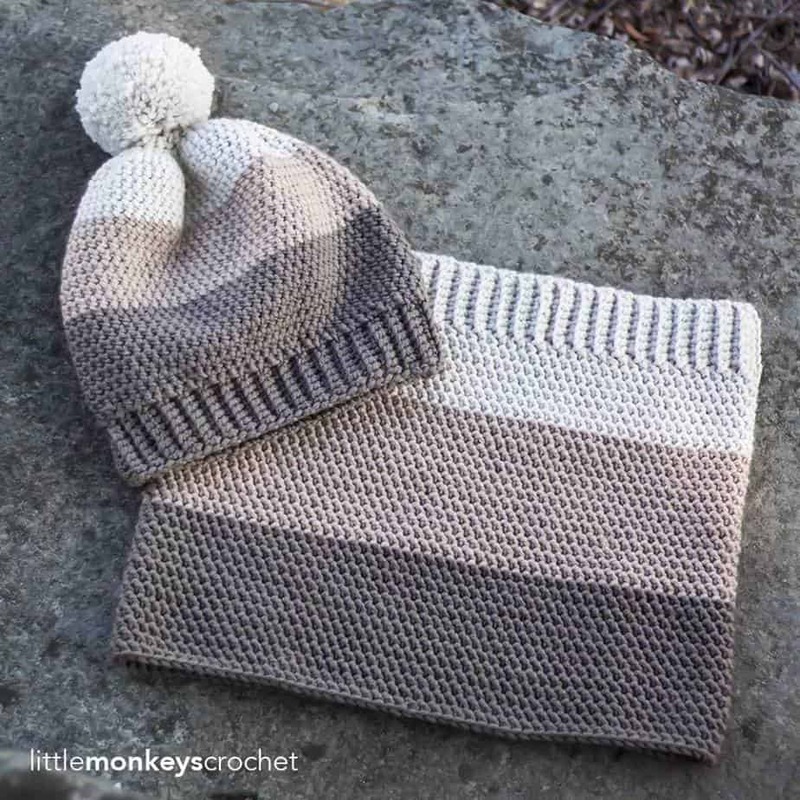 Dashes Beanie Take two fantastic colors and a clever stitch pattern to make this top down beanie with join as you go ribbing at the brim. 8. Dakota Belle Beanie Beautiful lacy shells and a little flower is wonderful for a light beanie during those in-between days when it’s not cold enough for a super warm hat. Four sizes for girls of all ages. 9. Cables Around Beanie Turn classic cables on their side with this clever design. Horizontal cables, you say? Yes, please! 10. Casual Cowl Use a double ended hook to get this fair isle look. 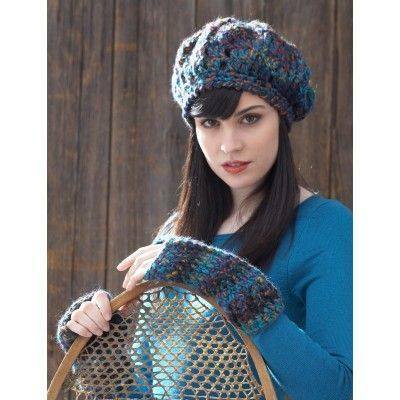 The bulky yarn makes it super quick. 11. Jersey Mitts These are always a hit with everyone. You can make them for men, women, teens and children. They could easily become your favorite gift to give and receive. 12. Basic Slouchie Beanie Here’s a simple, basic hat. You can make it like this or you can use it for all kinds of embellishment. 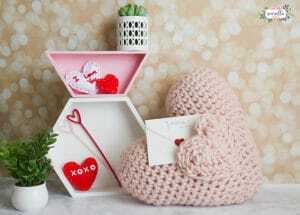 Buttons, surface crochet and motifs of all kinds can be used. You can make something for everyone when you have a good base. My goal here was to find some fantastic Heart patterns without it being overly “Valentine’s Day-ish”. I think these are great for gifts year-round and don’t necessarily scream February 14. 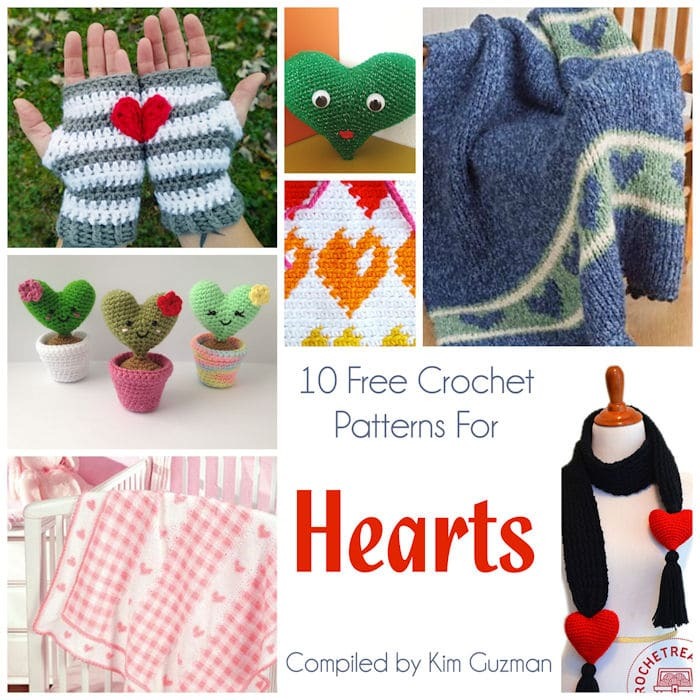 I especially love the Gingham and Hearts blanket from Herrshners. I would love to see it in the richer colors of plaid so popular right now. As always, the ones not shown in the collage are usually not shown because I don’t have permission from the copyright holder to show their photo. Once they give me permission, I will come back and update the page, as time allows. 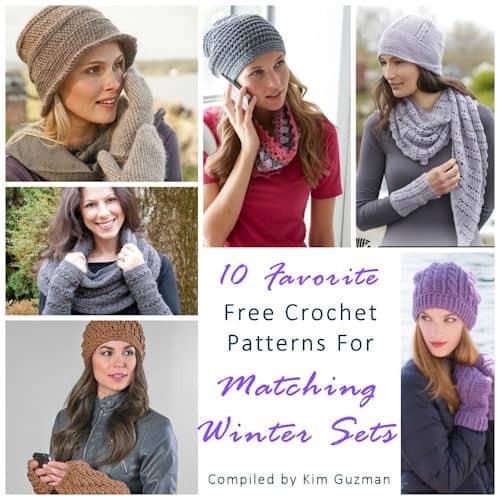 Link Blast: 10 Favorite Free Crochet Patterns for Matching Winter Sets: Hats Scarves and Mittens, Oh My!